It’s seven and a half weeks until Christmas – gulp! In order to make your Christmas shopping a little easier, I am putting together a few lists of books to buy for different age groups over the next few weeks. A book is an easy thing to buy – it doesn’t take up a lot of room if you need to hide it. It doesn’t require batteries. It won’t make a noise. It can be shared. It’s a conversation starter. It will entertain for hours. It can be returned to again and again, like an old friend. Today’s list is for girls aged 9-12 years. Of course, these books may be suitable for girls slightly younger or older. And just because the main characters in these books are girls, doesn’t mean that boys can’t read them. The girl who drank the moon by Kelly Barnhill – this could almost be my favourite children’s book of the year. It’s about a village who sacrifice the youngest-born baby each year by taking it into the wood and leaving it there for the witch to take. In return, she stays away from the villagers. There is a witch but she’s a kind one and she believes she rescues the babies by taking them to another village on the other side of the bog and giving them to a loving family. One year, she is so enchanted by the baby that she accidentally pulls moonlight down from the sky and ‘magics’ the baby girl. She knows she must keep the girl herself now and teach her how to use her magic wisely. It is such a beautiful story, with lovely language and quirky, loveable characters who draw on their strengths in remarkable ways. Strong readers will gather all the insights and appreciate the language while less confident readers will simply love the story – something for everyone. The extremely inconvenient adventures of Bronte Mettlestone by Jaclyn Moriarty – I haven’t read this book yet but I heard a great interview with Jaclyn on the So you want to be a writer podcast which made me want to go and read it! Bronte’s parents have been killed by pirates (but she didn’t know them) and she has to follow their wishes and deliver a trunk of presents to ten different aunts – otherwise terrible things will happen to her home. It sounds like an adventure of magic and courage – a fabulous combination for a story. Maybe it sounds so intriguing to me because Jaclyn said she started the book by wroting each chapter in a different cafe but then finished the book by writing in the same chocolate cafe! The turnkey by Allison Rusby – this is a historical novel, set in London in the middle of World War II. The protagonist is Flossie, a twelve-year-old ghost, who is a turnkey – someone who is in charge of a cemetery, keeping all the souls buried there at rest. This is such an original story. The balance between the history and the story is perfect so kids who don’t know a lot about World War II will enjoy reading it. A fabulous book by an Australian author. The land of stories by Chris Colfer – I loved the premise of this story. A pair of twins (girl and boy) are in miserable circumstances – their father has recently died and their mother had to sell their house and the family bookshop. Their grandmother gives them their father’s old storybook of fairytales. The twins discover that the book is magic, and jump through the book into the land of stories where all their favourite – and not so favourite – characters live. This book will be made into a movie, and I’m predicting it will do well because author/director Chris Colfer is a Glee actor. While the story is wonderful, the writing is so-so. Miss 11 and some of her friends have devoured this book, and the five that follow in the series, so clearly the writing is not as important as the story for them. This book would also be suitable for 8-9 year-olds who are strong readers. The little white horse by Elizabeth Goudge – this book was published in 1946 in the UK and is simply delightful. It has that classic children’s book feel. Some young readers may find it is too old-fashioned because of the descriptive language. It’s the story of Maria Merryweather who is forced to leave her home in London and live with her governess and cousin in the country. There is a dwarf who cooks, a dog who can communicate well with humans and a legend of the moon princess who must try to do the right thing and save her people again. This is a fabulous read for imaginative and romantic girls – there are three weddings at the end! 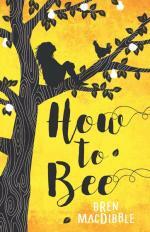 How to bee by Bren MacDibble – Love, love, love this book! It was published this year as a debut novel by an Australian author – you’ll remember it for the distinctive yellow and black cover. The main character, Peony, is determined, stubborn and courageous – she wants to be a bee (someone who picks the pollen from the orchard trees) and she wants to bring her family together. It’s set as a dystopian world, and that world is so well built. When you reach me by Rebecca Stead – I am such a big fan of Rebecca Stead! I love this particular book because it has such a complex storyline (time travelling) with wonderful characters. It’s set in the 1970s in the US, and follows the story of Miranda. She has an intelligent mother who is trying to win a game show, an ex-best friend who won’t talk to her anymore and some new friendships to navigate. This one is for the more discerning reader who is prepared to think a little about the story. You can read more about Rebecca Stead and her other books here. When the lyrebird calls by Kim Kane – this is a historical Australian book, set in 1900. Madeleine has fallen back in time, and is trying to return to her own time with her grandmother. She spends time with her new friends, and wears their clothes, eats their meals and becomes involved in the women’s lib movement. It’s a wonderful historical novel. 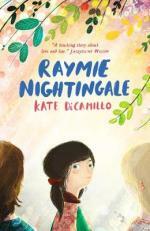 Raymie Nightingale by Kate DiCamillo – This is Kate DiCamillo’s latest book, published this year. Most kids will have probably come across her books – she’s a bestselling US author. Raymie’s voice is strong and compelling, the language evocative. You can read a book review here. 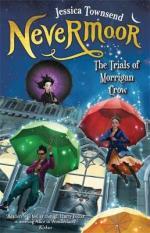 Nevermoor by Jessica Townsend – I have ordered my copy of Nevermoor and am waiting for it to arrive! I can’t speak with any authority about it but it would be remiss of me not to mention it here because there has been so much publicity about it. It is said to be the closest thing to Harry Potter! I hope some of these books find their way into some lucky girls’ Christmas stockings! You can also look at my previous Christmas suggestions for 9-12 year-olds here, here and here. Please forward on this post to friends and family members who may be looking for some help with buying Christmas books. Next week Children’s Book Week is celebrated in Australia from 19th-26th August. Many schools celebrate with book fairs, dress-up as your favourite character days and even play DEAR – Drop Everything And Read! (It’s my favourite game – I played it a lot with my three kids when they were little). You can find out more about this year’s theme – Escape to Everywhere – at the Children’s Book Council of Australia’s website. There are plenty of ideas for dressing up as your favourite character from author Allison Tait here – her go-to costume is a cloak which can be used for a ranger, superhero, princess, adventurer or olden-day character. The shortlist for the CBCA book of the year is here. The winners will be announced at midday today. We haven’t made our way through reading all of these beautiful books yet – it’s a work in progress. If you’re looking for quality books for your children or grandchildren, borrowing or buying these books will guarantee a good read. Author Tristan Bancks has some great ideas for celebrating Book Week – I like his idea for making a book trailer. I hope your children or grandchildren enjoy all the bookish festivities. I’m off to a YA book launch tonight, and then I’m thinking a game of DEAR might be in order for us over the weekend! I went to a fabulous seminar at Writers Victoria this week, presented by Danielle Binks about reading widely for writers. It may seem a little odd to think that writers need a tutorial about reading, because after all, if you write books, then it must surely follow that you read books and would hardly need to be told how to do so. Yet as Danielle explained, writers usually fall into two categories of readers – we either read only in our own genre or read too narrowly within our own genre. When I look back on my reading list for last year, I can see that I read mainly middle grade fiction, adult fiction that would probably be classified as women’s fiction, a little bit of young adult fiction, and non-fiction about creativity and parenting. So plenty of room to add crime fiction, science fiction, fantasy, biographies, autobiographies, historical fiction. And even though there is so much room for improvement in this area, I think I need to read more widely in middle grade fiction, for 8-12 year-old readers. I love my monthly bookclub meetings – mainly for the lovely friendships but also because I read books that I haven’t heard of before. And why, you may ask, is all this important? Well, Danielle explained that if you only read in your own genre, you will never break beyond it, you will only be a pale imitation of the best writers in your field. Seems to me that it is true in any field. I remember watching Australian Story a couple of years ago and seeing Professor Graeme Clark, who invented the cochlear implant, explain how he came across his brilliant idea. He was sitting on a beach, turning over a shell in his hand and observing how blades of grass were flexible enough to reach all the way inside it. He could see how similar the shell was to an ear, and he knew then how to solve the last piece of the puzzle. If he had stayed in his lab, ignoring the beach, he would not have changed the lives of thousands of deaf people. Back to reading and writing – how can you write an original book if you are living and breathing the narrow world of your genre? I think reading widely is true for kid readers, too. One of the greatest gifts reading can give anyone is a sense of compassion. You can understand the deaf protagonist’s perspective, you live the life of the athlete who was never quite good enough, you become the mother living hundreds of years ago who lost half her babies in childbirth, you understand the protagonist who was brought up by an alcoholic father. For kids, reading can offer insights into the home life of a school bully, into the feelings of the kid who can never keep up at school, into the thoughts of the kid who is never invited to parties. And if you read the same sort of book all the time, your world is narrow, and your compassion is limited. So, I intend to read more widely this year to become not only a better writer but a more compassionate person! Anyone else have any reading plans for yourself or your kids this year? Or a book recommendation to help me read more widely?